Why just buy a Louis Vuitton purse when you can get the stock too? 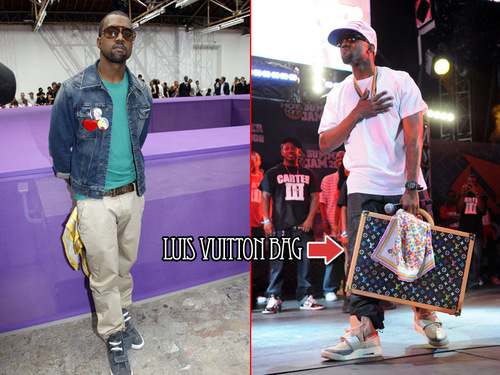 We know that Kanye West is the Louis Vuitton Don and loves to carry around his LV bags. Rihanna and Trina have been spotted carrying the Louis Vuitton x Takashi Murakami Monogramouflage bag. Click here for photos from the Murakami X Louis Vuitton "Monogramouflage" collection. Here is our Financial Tip of the Week. Here are some Recession Proof Stock Tips from Thrasher Funds CEO and portfolio manager, James Perkins. He gives the 411 on stocks that are likely to resist the effects of a U.S. recession. ThrasherTV thrashing on FOX Business. Click here for a slide show of The World's Most Expensive Hand Bags. 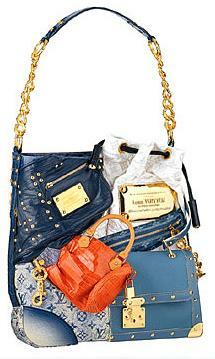 Luis Vuitton made an LV Patchwork Bag which made the list at a cost of $42,000 dollars. The fashion industry has been trying it's best to fight against knock offs. Be the first to own the latest 2008 summer styles from Chloe, Chanel, Balenciaga, Gucci, Christian Dior, Louis Vuitton, Fendi, Prada, Miu Miu and Juicy Couture for women at half off. Check out the 2008 Trunk Show exclusively online at SHOP STAR STYLE. Use code SUMMER to save 50% off your purchase today at shopstarstyle.com!